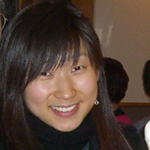 Nancy Cho is an undergraduate Korean and Japanese Language student at the University of Washington. She was born in the South Seattle area and has always had a keen interest in history. Though her favorite time period is during the medieval ages, she has always appreciated the short, but profound history of the Americas (especially the north), which allowed her to be born in a country with many opportunities.